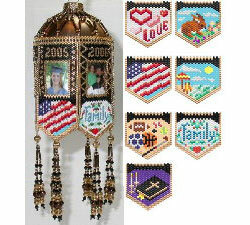 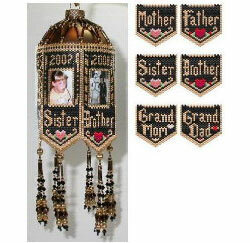 Ornament consists of 6 peyote stitched personalized frames to complement your photos with a beaded date at the top of each frame and a beautiful design tab at the bottom. 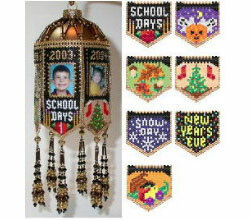 Mix and match the designs in this set and the other sets to make an ornament that is as special and unique as your precious memories! 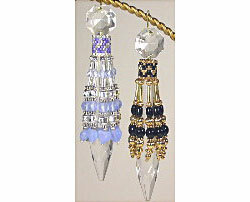 Beaded tassels dangle from each point and elegant beaded netting suspends the beadwork over the larger, easy-to-find glass balls. 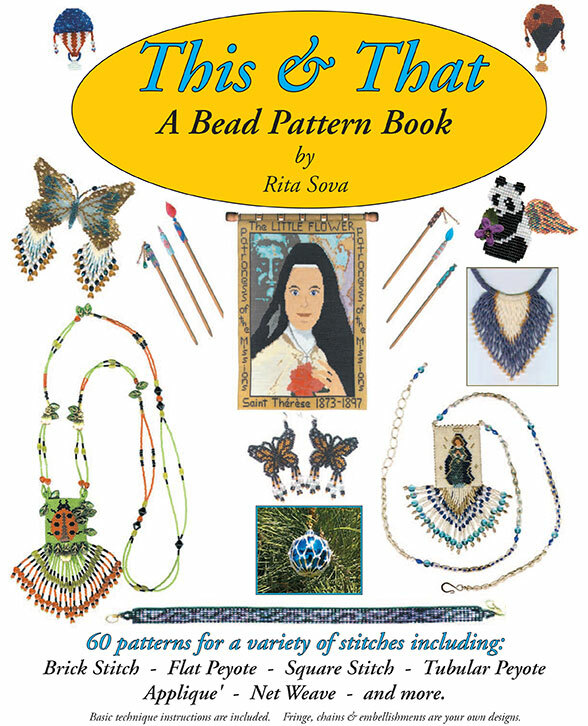 The pattern features very complete step-by-step instructions with excellent illustrations for peyote stitch how-to and easy to follow photos for the assembly, tassels, & netting. 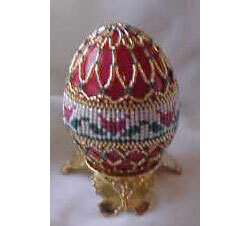 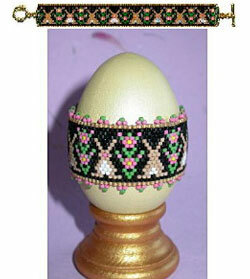 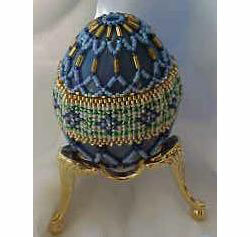 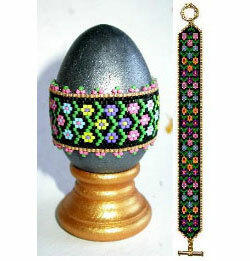 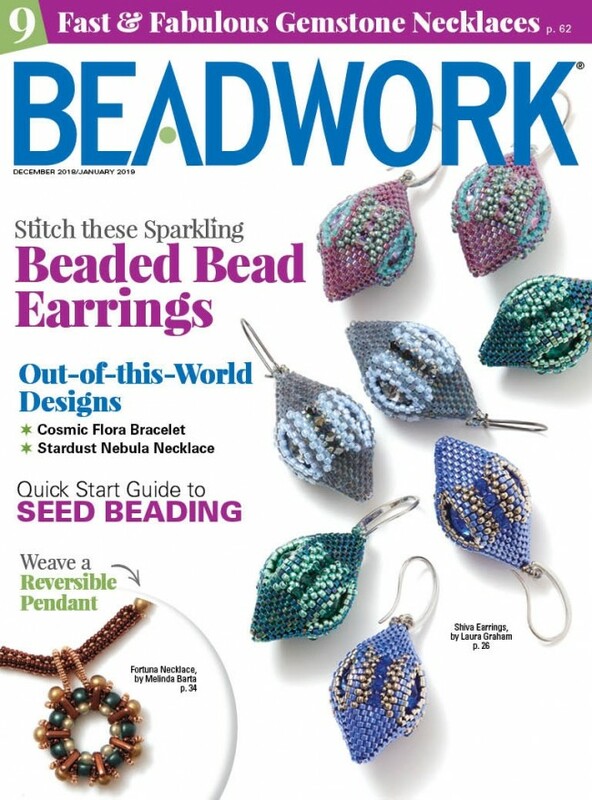 Beginners have learned peyote stitch from these instructions! 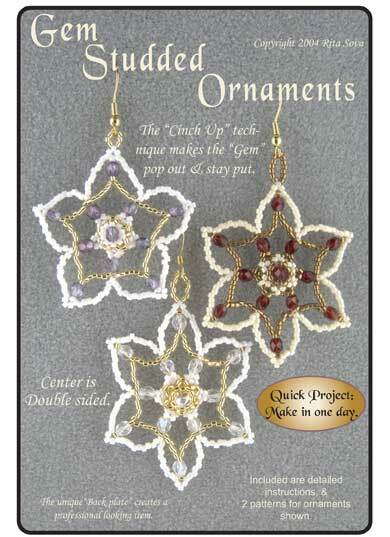 Available as 4 separate design sets or you can obtain all 4 sets of charts and one copy of the instructions in one download your choice!